Tuesday’s deadly terrorist attacks in Brussels, which killed more than 30 people in three explosions at the city’s airport and a metro station, are at once shocking and sickeningly familiar, the latest in a horrifying line of violence that includes the terrorist attacks in Paris last November, and stretches back to the September 11 attacks in 2001. We can predict that, amid calls to support victims and root out terrorism, there will also be people who blame Islam as a whole for these attacks, as if all Muslims were responsible for the actions of the violent extremists who planned and carried out these atrocities. Although the urge to place blame for these crimes is a natural one, it’s essential to remember that Muslims as a group — made up of 1.6 billion diverse people all over the world— aren’t the right target. 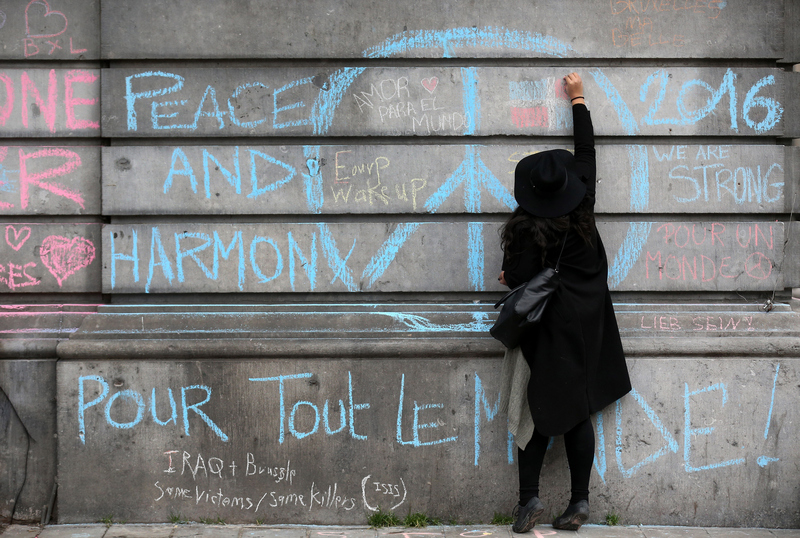 The attacks in Brussels and similar acts of terrorism may have been committed by religious extremists — ISIS claimed responsibility for the attacks Tuesday — but these people do not represent or speak for the vast majority of Muslims. In fact, as President Obama pointed out after the terrorist attacks in Paris last year, far more Muslims have been killed by ISIS than non-Muslims. That’s not to minimize the importance or tragedy of the killings in Brussels on Tuesday, but to simply point out that ISIS’s violent religious extremism threatens everyone — including, and perhaps especially, other Muslims. I think we should take a step back and ask a different question, which is: ‘Is it justified to demand that Muslims condemn terrorism?’ Now that might sound a little radical even asking it. The reason I say that is this. Condoning the killing of civilians is, to me, about the most monstrous thing you can to do. And to be suspected of doing something so monstrous, simply because of your faith, seems very unfair. Now when you look at the majority of terrorist attacks in the United States, according to the FBI, the majority of domestic terror attacks are actually committed by white, male Christians. Now that’s just the facts. When those things occur, we don’t suspect other people who share their faith and ethnicity of condoning them. We assume that these things outrage them just as much as they do anyone else. And we have to afford this same assumption of innocence to Muslims. Following the Paris and Brussels attacks, as well as the Charlie Hebdo killings last January, Muslim Twitter users tweeted with the hashtag #NotInMyName to declare that terrorists to not speak for them. 2. Al-Azhar condemns the Brussels attacks. 3. The Muslim Council of Britain took out an ad. The Muslim Council of Britain has also condemned the Brussels attacks. 5. Muslim leaders in Belgium and Europe denounce the Brussels attacks; Belgian Muslims donate blood to help victims. 6. The Organization of Islamic Cooperation condemns the Brussels attacks. 7. Muslim scholars debunk ISIS ideology.